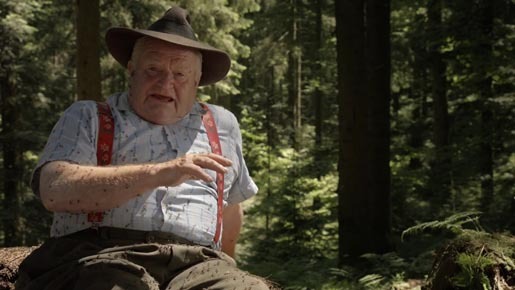 Switzerland Tourism has launched a new winter advertising campaign featuring a real Swiss weather prophet, Martin Horat. Twice a year, he and his colleagues from the Muotathal Valley predict the weather for the next six months by observing Nature. One colleague looks at pine cones. Another looks at mouse holes. Martin Horat makes his forecast for the coming winter by studying the behaviour of ants. The Weather Prophet campaign was developed at Spillmann/Felser/Leo Burnett, Zurich, by creatives Peter Brönnimann and Martin Spillmann, and agency producer Suzana Kovacevic. Filming was shot by director Xavier Koller via Plan B, Zurich, with producer HC Vogel.